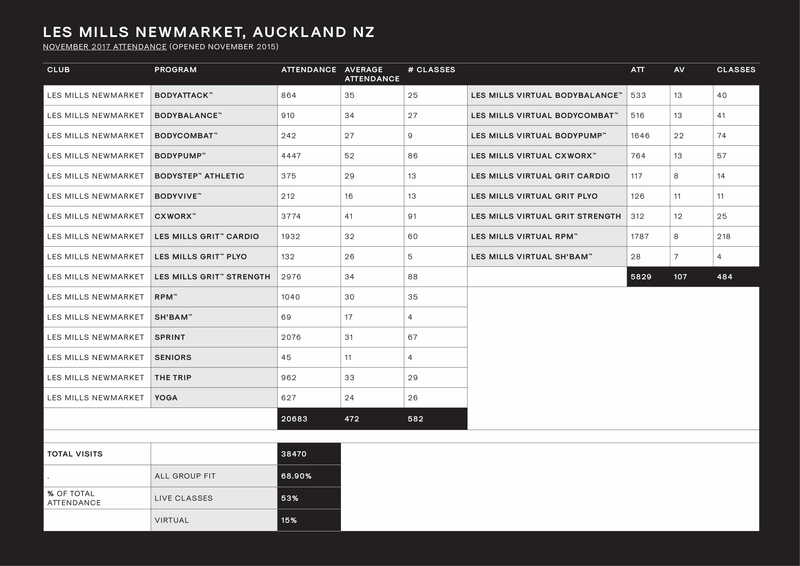 Les Mills Newmarket in Auckland, New Zealand has had significant success running a virtual studio since 2015. The 18,000 sq. ft. club has 4900 members paying an average of NZD$110p/m. Virtual classes have allowed the club to double the number of classes it can offer, which translates to a 30% increase in member attendance. The club has 70% of its space dedicated to group fitness, with two studios and a dedicated cycle studio. It’s a change from the usual industry model, where the gym floor is prioritised over group fitness. Virtual classes are key to making the model viable, as the virtual offering allows classes to be scheduled throughout the day without creating a huge wage bill. Virtual also works as a successful gateway to live classes; many members find it easier and less intimidating to try a virtual workout first, with no instructor, smaller classes and a darker studio. Most club timetables are designed around catering for the peaks in usage, but Les Mills Newmarket successfully manages capacity by pulling people away from the peak times and creating an even spread throughout the day. Although live instructors are retained for the peak classes, virtual classes mean the group fitness timetable can start at 5.30am and run until 10.00pm without increasing overheads. Virtual has empowered the club to sell memberships to a previously unreachable audience whose personal timetables didn’t fit with the club’s class timetable. This also aids member retention - at Les Mills Newmarket, that currently sits at an impressive 66%.